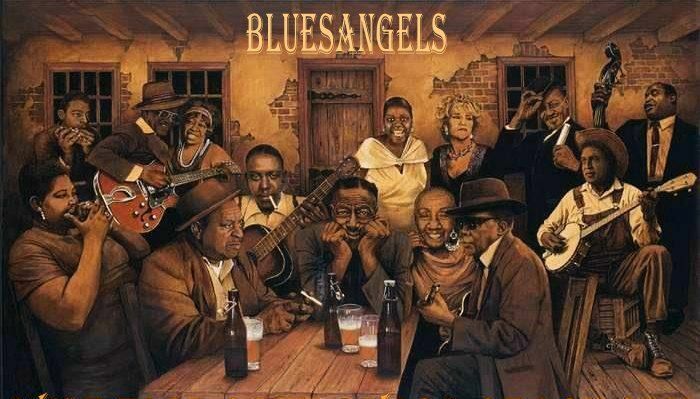 From jug band to jazz-infused New Orleans shake, Chicago blues bellow to bluegrass bounce, BluesAngels will warm your whiskers with their backhills bemoaning and beatnik beatitudes. Guitars and gobirons, mandos and banjos, a swingin' sax and creampuff clarinet, the big bull fiddle and a thimbleful of washboard whaling, it’s trad east coast blues the way we don't often hear it; pre-WW1 songcatchers matched with post-WW2 blues-bashers and modern times' rootsabilly. Brackets North will surely be jumpin' and jivin' with BluesAngels drivin'. BluesAngels formed in 2010 to bring authentic and original acoustic blues to the NSW Central Coast. and beyond. Exploring early New Orleans and Cajun blues, Appalachian through Mississippi delta, Piedmont, Memphis, Chicago, jump, British 60s, USA & Oz 70s, Newgrass, West Coast, Texas, and on into contemporary indie roots, beatnik jazz, backhills bluegrass and prog folk, BluesAngels are a total acoustic blues package top to toe, and then some.